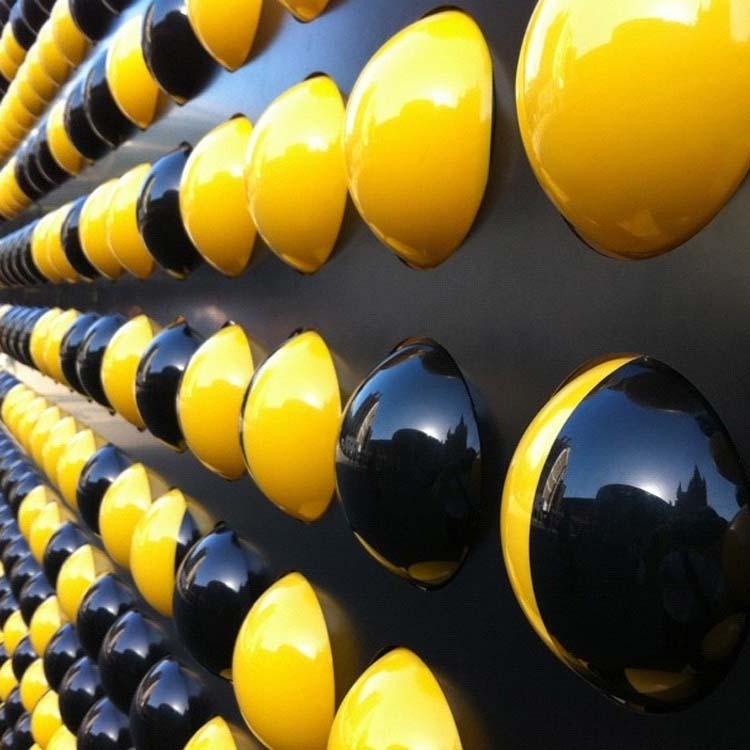 These 2940 yellow and black plastic spheres across a 35m-long wall made up the fun and engaging interactive pop-up installation at London’s King’s Cross station called Song Board. Designed by the students at Central Saint Martins University of the Arts in London, Song Board invited passers-by to rotate the matrix of spheres and create unique patterns, images, and messages. Some came prepared with pre-arranged displays to print on the board and others just rotated them relentlessly, listening to the sound the balls made when rotated. 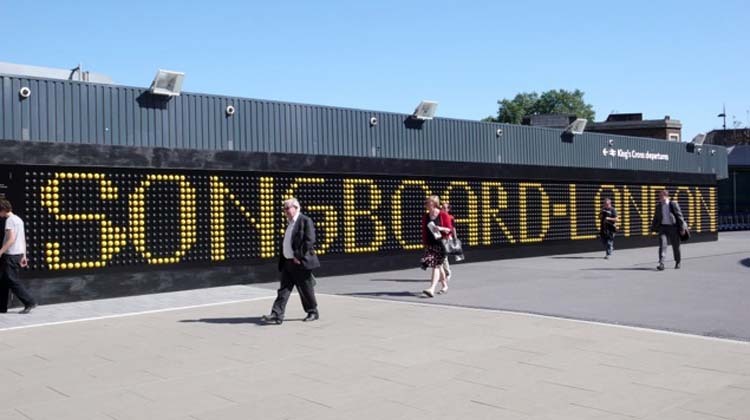 Song Board was one of the many projects (see also Bus-Tops) put into place by the Mayor’s office throughout the city during the recent Olympic and Paralympic Games. 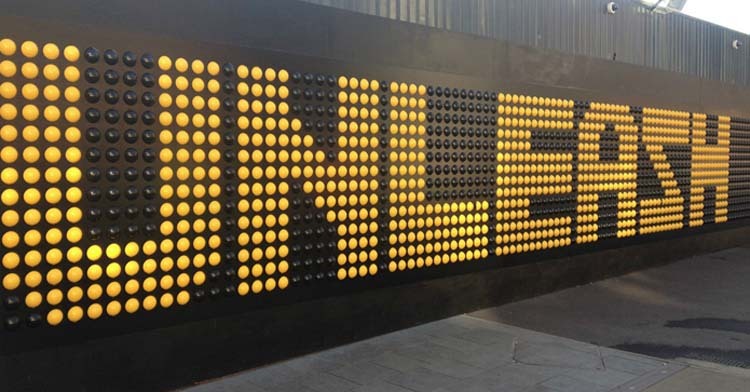 This entry was posted in Art, Fun, Interaction Design, Street Art, Stuff We Like, Typography. Bookmark the permalink.